Double Loop Finger Slings for Archers. 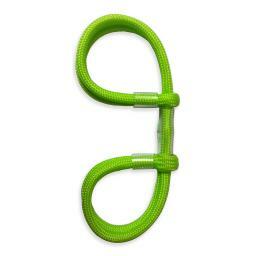 The shape and width of Bowrap double loop style finger slings offer a soft and comfortable fit. Clear tube ferrules provide loop size adjustment and ensure a snug but comfortable grip around the finger and thumb. All of our Finger Slings are hand made to order using top quality Military Spec 4mm 7 Strand Core Paracord offered in 27 fabulous colours, there is a colour to suit every archers gear.